THE SALE HAS BEEN EXTENDED TO MARCH 31ST, 2015!! START SHOPPING NOW!! 10-20% off Our most popular styles. The sale is also open to all custom upholstery piece. 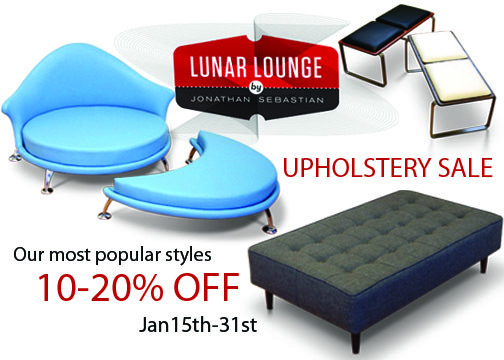 If you have been wanting to order a chair, sofa or modular seating system, now is the time!! Head over to our Etsy shop for the best selection and options!! 20% off : Bokz , Ply Bak, Leentu and EF design lines.